Signed for the 1999-00 season by Pudmika Zadar (Croatia), in the 3rd Division. Signed for the 2001-02 season by Cibona Zagreb. Sent on loan to Zabok, in the Croatian 2nd Division. Signed for the 2002-03 season by Sanac Karlovac. Back to Cibona Zagreb for the 2003-04 season, loaned again to KK Dona Dubrava Zagreb. Moved to Germany for the 2004-05 season, signed by BS|Energy Braunschweig. On March '05, signed by KK Dubrovnik for the remainder of the season. On March'06 moved to Croatia, signed by KK Dubrovnik. Signed for the 2006-07 season by Sibenka Sibenik. Signed for the 2007-08 season by Cibona Zagreb. Signed for the 2008-09 season by KK Zabok. On November'08 signed by KK Zagreb. Moved to Spain for the 2011-12 season, signed by Malaga CB. Moved to Turkey for the 2013-14 season, signed by Fenerbahce Ulker Istanbul. Named the 2012-13 Euroleague Top 16 Week-11 MVP. Won the 2010 and 2011 Croatian National Cup with KK Zagreb. Won the 2016 Croatian National Cup with Cedevita Zagreb. Won the 2005 Slovenian Super Cup with BC Olimpija Ljubljana. 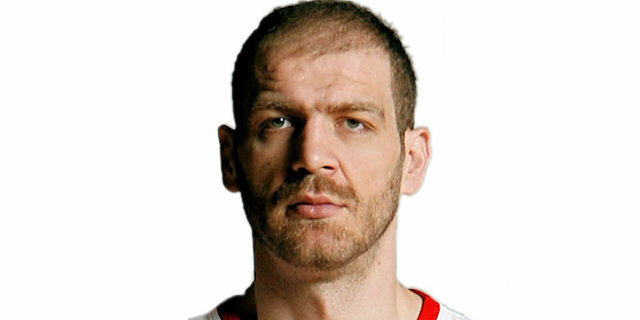 Led the 2011 Adriatic League in rebounding (8.2 rpg.) and blocking shots (1.3 bspg.). Played the 2007 and 2010 Croatian All Star Game.